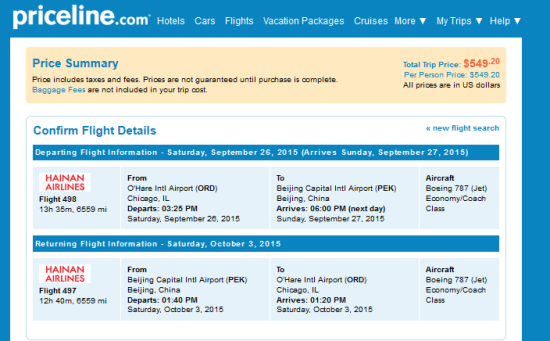 A good sale for nonstop service to Beijing. We are not big fans of Chinese airlines in general because of sub-par service onboard. But this is cheap and now, thanks to Hainan’s partnership with Alaska Airlines, you will earn useful miles for this flights. Just remember to give them your Alaska Air Mileage Plan number to earn. Remember to signup fort Alaska’s double mile promotion for Hainan flights until October 31st. If you register for the promotion before you fly, you will earn enough miles for an domestic one-way award ticket on Alaska, American or Delta. Support us by using our Priceline link to book with dates found on ITA Software Matrix Airfare Search. Make sure you select “More Options” and enter “Hainan” on the Airline textbox. 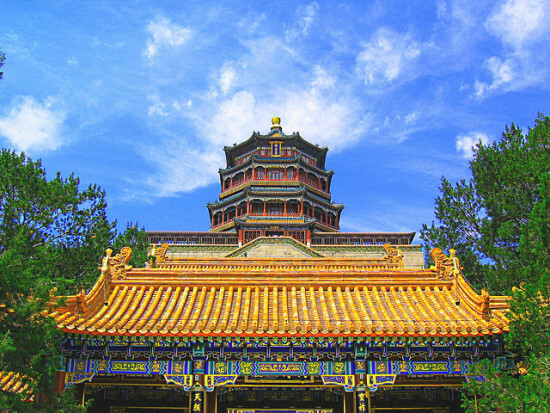 One Response to "Hainan – $549: Chicago – Beijing, China. Roundtrip, including all Taxes"